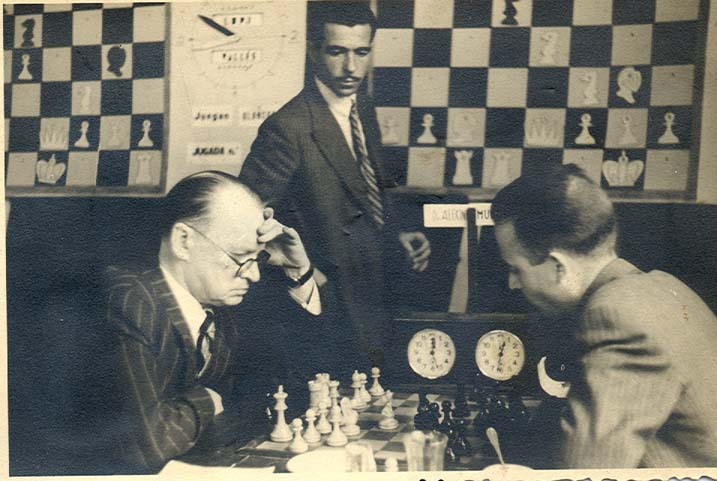 3/27/2007 – Recently-discovered photographs from one of Alekhine’s last tournaments, in Spain in 1945, are proving baffling. 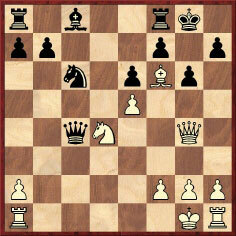 Do they show that a 15-move brilliancy commonly attributed to Alekhine is spurious? And do they disprove claims that another of his opponents was an 11-year-old boy? 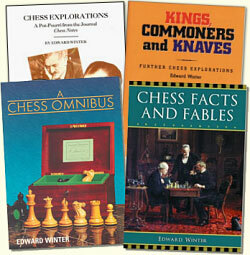 Chess Notes investigates, and once again our readers are invited to join in the hunt for clues. 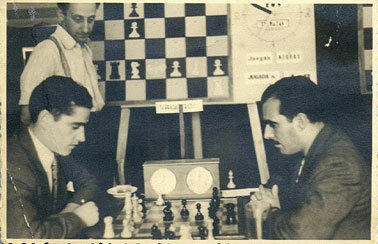 Miquel Artigas (Sabadell, Spain) kindly presented in Chess Notes (C.N.s 4008 and 4015) six photographs discovered in the archives of the Club d’escacs Sabadell. 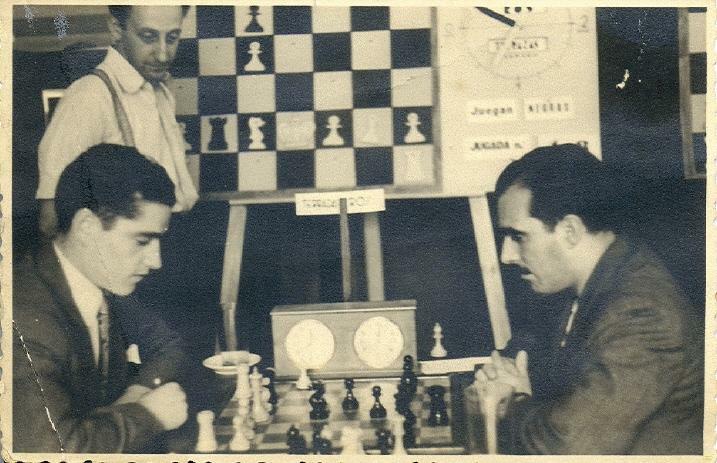 All were taken in August 1945, during a little-known tournament in Sabadell won by Alexander Alekhine and, unexpectedly, two of the pictures (below) have given rise to curious mysteries. 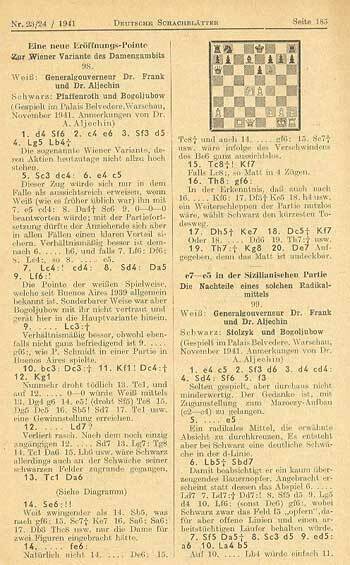 The same 15-move game was also presented as Alekhine v Muñoz on page 728 of Alexander Alekhine’s Chess Games, 1902-1946 by L.M. Skinner and R.G.P. Verhoeven (Jefferson, 1998), but the source specified there was merely Morán’s book. 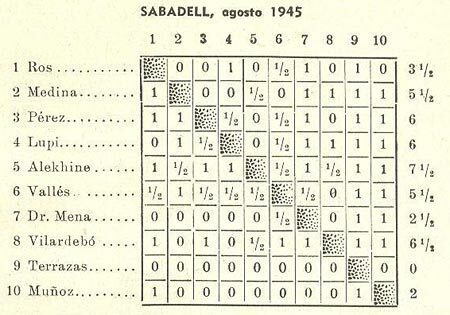 The Spanish edition of the latter was published in 1972, and the 15-move game has yet to be found in any previous source. 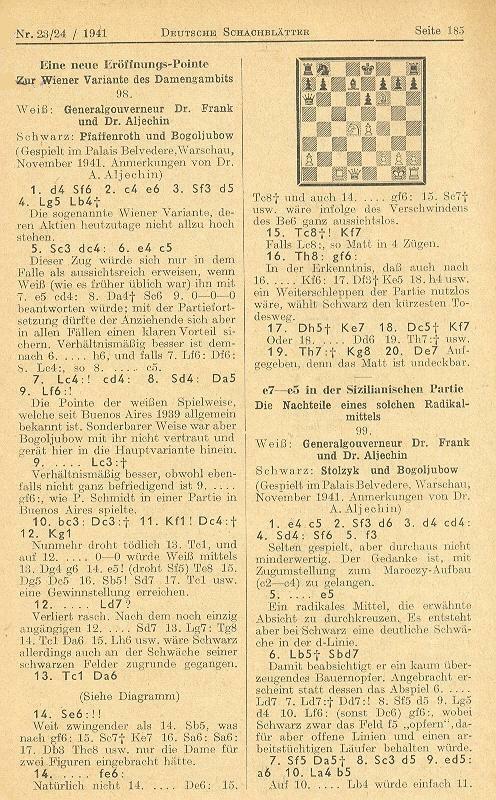 The Skinner/Verhoeven book on Alekhine records that his game against Muñoz was played in the ninth and final round, on 10 August. Tournament photographers often turn up on the first day or the final day, so that is consistent too. On the face of it, the 15-mover would have to be either Alekhine v Pérez or Alekhine v Ros, which are the two missing games which he won as White. Thus Filiberto Terrazas specifically stated that he was 11 years old, did not keep copies of tournament games, and only remembered that the imposing figure of Alekhine prompted awe. And there the matter currently stands. 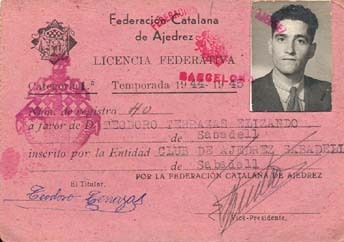 The contemporary evidence indicates, not to say demonstrates, that at Sabadell, 1945 Alekhine faced the adult local player Teodoro Terrazas Elizando. How, then, is the claim regarding the 11-year-old Filiberto Terrazas to be explained? For more details on both matters, see our feature article Mysteries at Sabadell, 1945.